Bekoe holds a BSc Special Degree in Chemistry with a Subsidiary in Mathematics from the U. Of London, a PhD in Chemical Crystallography from the U. Of Oxford and an Hon. DSc from U. Of Ghana. He is currently Member, Board of Directors, Institute of Economic Affairs, Ghana. He was Dean, Faculty of Science (1971-73), Pro Vice Chancellor (1973-75) and Vice Chancellor (1976-83), U. Of Ghana. 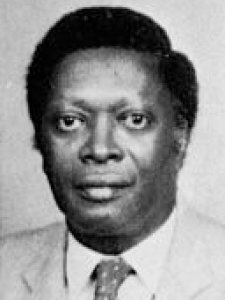 He served as director, UNESCO Regional Office of Science and Technology for Africa, Nairobi, Kenya; UNESCO Representative to Kenya, Mauritius, Seychelles, Somalia, Tanzania and Uganda (1983-85); Regional Director for Eastern and Southern Africa, International Development Research Centre of Canada, Nairobi, Kenya (1986-92); Member of Council, United Nations University, Tokyo, Japan (1978-82); President, Ghana Academy of Arts and Sciences (1993-96); Chairman, The Council of State, Ghana (2005-08). Keywords	 Molecular structure of chemically interesting molecules; small organic molecules; organo-metallic compounds; molecules of plant origin; science and technology policy.